I met a professing Buddhist once who tried to explain Nirvana to me as a moment of deep exhalation with a bunch of strangers. Everyone just sitting around together taking a deep breath and releasing it. No more war. No more passion. No more insanity. That’s like Nirvana, he said. I think I experienced something like this one afternoon while sitting at the back of the bus with tired strangers one Friday afternoon. 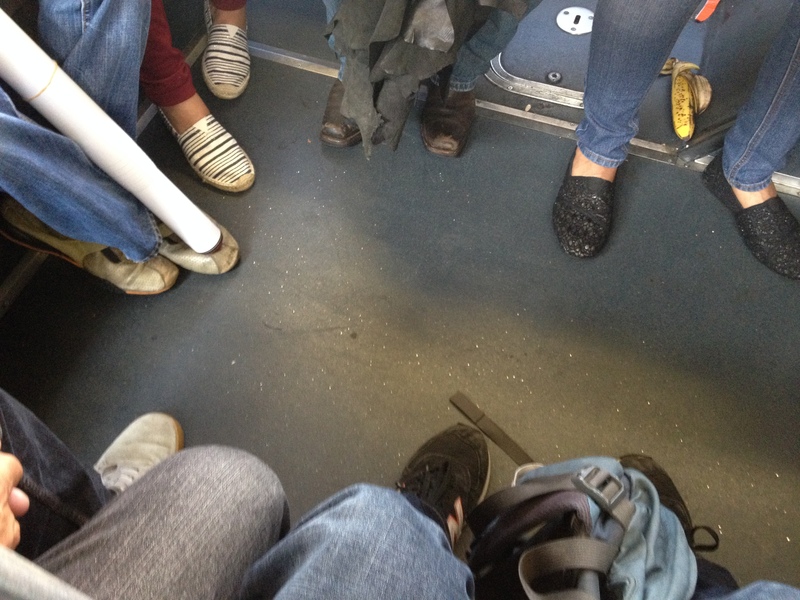 We sat in a semi circle, letting the rocking of the lurching bus lull us into sleepy silence. You could only hear the hum of the engine, the squeak of the benches, or the small buzz from a neighbor’s tuned out earbuds. We were silent. We were at peace.